The UK Permanent Representative to the UN, Matthew Rycroft, on Monday explained why the Security Council adopted a resolution on the Boko Haram crisis in the Lake Chad Basin, saying it was a landmark development. The Security Council had on Friday adopted Resolution 2349 (2017) to bring attention to the Boko Haram crisis. The Council had earlier in visited the Lake Chad Basin Region to assess the level of degradation caused by the activities of the Boko Haram insurgents. Rycroft said: “This adoption marks the start of the next chapter of our work on the Lake Chad Basin. Seeing a crisis first hand is a good start but it isn’t enough on its own. “It isn’t enough just to bring attention to its situation. We will fail the people of the region if we do not respond to what we saw; if we don’t take tangible action to bring real relief, real respite to the suffering, the hunger, the instability. “Through this resolution, we have made clear what action needs to be taken. “ First and foremost, we need the countries in the region, the international community and the UN urgently to scale up their response to the humanitarian crisis. “If we act now famine can be avoided. But that means quickly dispersing money pledged at Oslo – every single dollar of the 458 million dollars pledged by donors, every single dollar of the one billion dollars pledged from the Government of Nigeria. “It means supporting the regional governments to lead a comprehensive and effective response to the crisis, building on the leadership they have already shown. “ Boko Haram exploits the poverty in the northeast, it exploits the men who view women as no more than objects, wives and cooks without the prospect of a future,’’ he added. The UK envoy emphasised that the ideology of Boko Haram was unacceptable. “If we are to bring a conclusion to this crisis, we must also commend and support the countries in the region on their efforts to combat Boko Haram, including through the Multi National Joint Task Force. “They must sustain their momentum to defeat Boko Haram and Daesh. “You can’t defeat terror or build peace if you are committing or condoning the abuse of civilians. We all must hold ourselves to a higher standard than that,” Rycroft said. 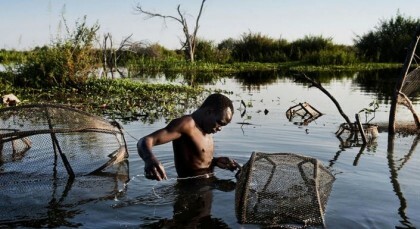 The Chad Basin is the largest endorheic drainage basin in Africa, centered on Lake Chad. It has no outlet to the sea and contains large areas of desert or semi-arid savanna. 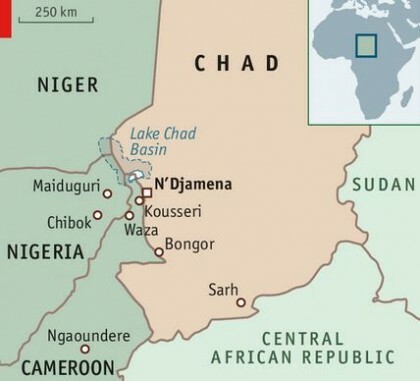 The Chad Basin covers almost 8% of the African continent, with an area of about 2,434,000 square kilometres (940,000 sq mi). 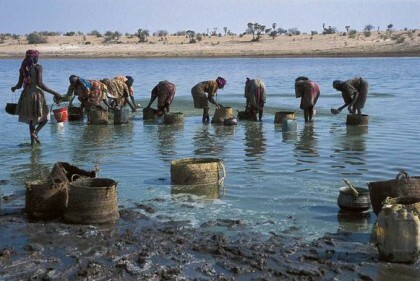 Chunk part of the Lake Chad Basin encompasses four countries; Cameroon, Chad, Niger and Nigeria and these are the nations that are affected by the Boko Haram activities.